This example covers the editable grid view form of type . 1. 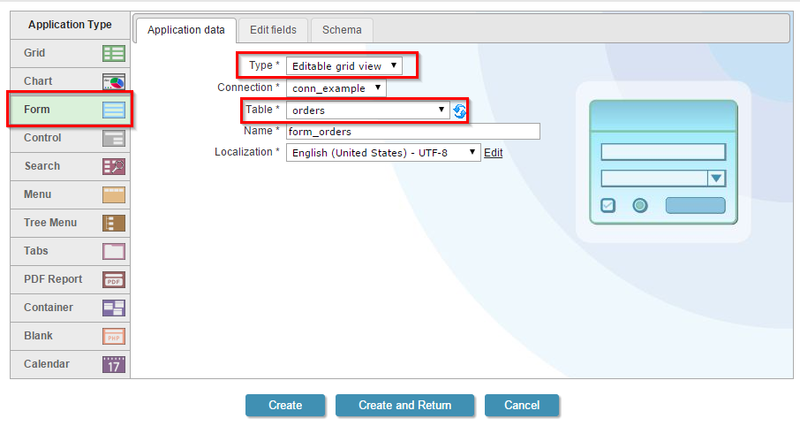 Create a Editable Grid view form application based on the table orders. 2. 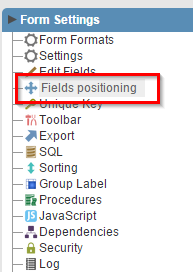 In the application menu click in Fields Positioning. 4. 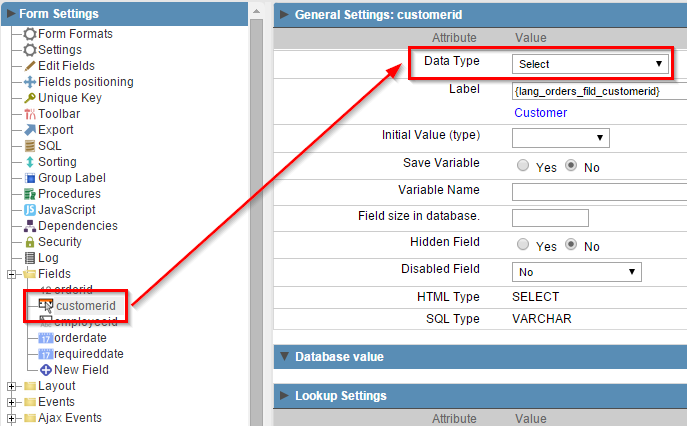 In the application menu access the folder Fields, click on the CustomerID field and change the Data Type attribute to Select. 9. 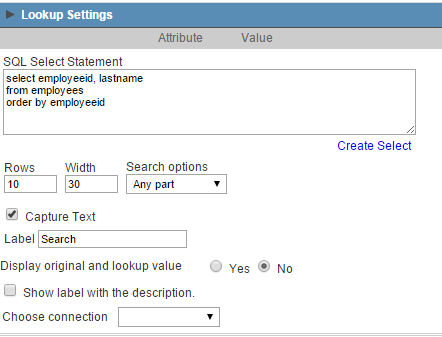 Enable Capture Text and enter Search for the Label attribute. 10. Click the Run button on the toolbar.